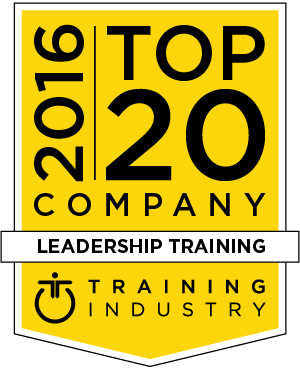 As part of its commitment to continuously monitor the training marketplace for the best providers and services, TrainingIndustry.com has released its 2016 Top 20 Leadership Training Companies List. Development Dimensions International (DDI) is a leading global human resources consultancy, specializing in leadership assessment and development. DDI helps companies transform how they hire, promote and develop leaders across the entire pipeline. Linkage has provided leadership development insights, learning tools, strategy and consulting services to organizations looking to strengthen their leaders, more effectively engage their teams, and build cultures of employee engagement and lasting leadership impact. The Center for Creative Leadership (CCL®) is a top-ranked global provider of executive education. CCL uses research to develop people into better leaders — transforming individuals, teams organizations, and societies. As part of our commitment to continuously monitor the training marketplace for the best providers and services we announce the 2016 Leadership Training Companies Watch List. The 2016 Leadership Training Companies Watch List is intended to help buyers of training services evaluate leadership training providers. Due to the diversity of services included in leadership training programs, no attempt is made to rank the Watch List. Interaction Associates (IA) helps global organizations build collaborative cultures and achieve excellence in a new measure of ROI where employees go “beyond engagement” to share responsibility for business results. Since 1969, IA has developed leaders at all levels by focusing on building proficiency in collaboration, strategic thinking and self-awareness. Management Concepts transforms individuals into dynamic, stand-out leaders, managers and employees enabling organizations to achieve greater success. Their full range of development services employ innovative learning techniques, client-centered consulting, ICF-certified coaches, experienced facilitators, 360-degree assessments, and timely publications.